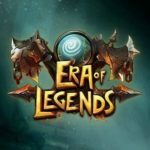 Era of Legends is a new MMORPG with a lot of content, and it’s natural to feel a bit overwhelmed at first. If you are just starting out in the game, we recommend you check our Era of Legends beginner’s guide. Now, this guide is aimed towards players who are a bit further into the game, and are looking for more advanced tips, tricks and tactics to help them progress through the mid-game smoothly. Familiars are units that follow you in the game. There are various types of familiars in Era of Legends, some specialize attacking, others in defending, others in assisting, and others are jacks of all trades. You can have up to 4 familiars in your squad, and you can appoint a leader among them, which is the one that will actively follow you and whose ability is the one that will be available to you in combat. Every familiar has a base Aptitude, which influences their stats grow and can be changed by Awakening them, Stats Bonus which are the stats you get by adding them to your familiars’ team, and their ability. Each familiar has their own unique ability, for example Yellow Dragon has an aura buff for your allies, while Werewolf gives your attacks a chance to deal extra damage, these abilities are only active when the familiar is set as the Captain. You can level up your familiars by feeding them with specific items you get by completing quests, each one of these items gives a set amount of experience to your familiars, and their stats grow with each level. There’s two other ways in which you can upgrade your familiars: Awakening and Starring up. Awakening improves the base Aptitude of your familiars, which means that they gain stats more rapidly, while starring them up improves their base stats. Leveling up your familiars is very important, as their base stats will be added to your own characters’ base stats, which means you can get huge stats bonuses just by leveling up, awakening, and starring your familiars, in fact, it is very likely they will be the source of the majority of your Power Level. Note that your familiars’ levels can’t surpass your character’s level. You can get more familiars by capturing their eggs in Familiar Utopia, for which you will need traps. Higher level traps mean you will get higher quality Eggs. Traps can be earned as special rewards from Fort quests, Treasure Map quests, or by fishing. Guilds are a great boost to your gameplay experience in Era of Legends, and that’s why you should pay extra attention when joining one. Guilds have their own store, where you can buy special items. They also have access to special events like the IQ test, and weekly missions, as well as loop trials. 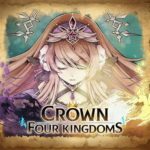 What’s so special about guilds is that you can easily team up with guildmates to clear dungeons and quests. So, you will want a guild whose members can help you, which means having people not too much stronger than you, and not too much weaker. Guilds are all about teaming up and helping each other to grow together. There is also the option of earning a salary based on your position, in order to unlock Salaries for your Guild, its members will have to donate a certain amount of Gold until there is enough to give a salary. To check how much gold is needed, visit the Guild Bank in the Construction tab, there you will see how much Gold has been donated up to that point, and how much Gold is earned for every tier. Donations also are a way to earn Contributions, a currency you can spend in the Guild Shop. You can donate up to 5 times per day. Guilds have a workshop, where you can create special gear for your character, you can access is by tapping on the Guild Made button in the Guild’s Hall. Guilds also have access to special dungeons: Temple Ruins, The Eternal Clan, and Flame Heart. To join them, you will need a party of 10 members of a guild, and each one of them has chances to get personal rewards up to 10 times per weeks from Dungeon Bosses. Guilds can also challenge other guilds to a war, in this case guilds will try to attack the territory occupied by a guild, this event is called Siege. There are not enough territories for all guilds, which is why guilds without territory will want to challenge other guilds to take it from them. All of this is only possible if your guild is active and has members actively contributing, this is why you want to join a guild that kicks out inactive players and that has a lot of contributors interested in the welfare of their guildmates. An inactive guild will never get to a higher-level workshop, will never give its members a salary, won’t help you with the various dungeons, the Guild invasions, and the other events, and of course you won’t have guildmates to Raid Dungeons with, and these dungeons are by far the ones with the best rewards for clearing them. Special events are events that only happen at certain times of the day. You can check when they happen in the Battle tab which is located on the top right corner of the game screen. You should try to log into the game during those times to complete the events, as they give the best value in terms of rewards. The events that give the most rewards are the World Boss quest and the IQ Test, so you should prioritize them. Clearing the Dungeons is also beneficial. You can run them more than once every day, you can get nice loot from the bosses in the dungeon, although by virtue of it being random, you might end up with loot that does not suit your class. In that case, make sure to not pick it up and leave it for someone who might actually need it, the game will suggest you what the best course of action is regarding the item, if it’s labeled as Greedy, you should refrain from taking it, as you won’t really have any use for it. There’s extra minigames you can unlock by playing the game or as login rewards, to join them you have to use the scrolls in your inventory, for example you can play City Bomber with a City Bomber Coupon, these are basically extra quests that give you good rewards. Other interesting events are the Gremlin Store, where you can buy items like Starlight and Awakening Potions for Gold, and the Arena, the PVP mode, where you get randomly matched with 2 other players and face another party of 3 people. Winning increases your rank, while losing decreases it. Each week is a season in the arena, and it resets on Monday mornings. After a season ends, Players will get rewards based on their divisions and rankings. These rewards could be anything from gear, crafting materials, and even extra rare mounts. If you play at least 30 matches in a season, you will get participation rewards. The Arena opens 2 times a day. Another tab to keep an eye on is the Awesome Events one, there you can check special events the game holds, with their respective rewards. While characters’ power levels are a good indicator of a player’s strength, having a higher power level does not necessarily mean a character is better than another. There are various reasons for this. The main one is that power level is determined mostly by a character’s stats, but some stats are better on certain classes compared to others. For example. having high Strength is great if your character is mostly based on straight up attacking your opponents, but it won’t be of much use if you are a spellcaster. It’s not always obvious when a stat is better than others though. 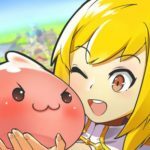 Having higher stats isn’t always strictly better either, for example having a higher critical chance on your spells is usually better than just passive stats, even if the higher stat number translates to a higher power level, so pay attention when replacing stats while quenching items, and don’t get fooled by higher numbers, what really matters is how your stats interact with your character’s skillset. Naturally, there are many more factors that come into play in fights other than power level: your positioning, how you move and dodge boss’ attacks, and how you utilize your spells to deal as much damage or healing as much of it as possible, your targeting, and even your teammates. We will talk more about this in the following section. The combat system is simple, yet deep. You have multiple abilities at your disposal, one of which is your main one, an ability that has 0 cooldown, and acts as a basic attack, or as a basic ability cast if you are playing a spellcaster. This is the ability you will use the majority of the time, as it is always ready. The other abilities all have separate effects and cooldowns, so you will have to use them wisely to clear the harder dungeons, you can’t just rely on using all of your abilities randomly whenever they are ready. For example, the Priest has abilities that have different effects based on whether you are targeting an enemy or an ally with them. Other abilities are better used in certain situations, for example an heal that hits all allies in an area around the Priest is best used after a boss’ attack that deals damage to all of your party members. Shielding an ally is better when they are about to take a huge chunk of damage from a powerful attack, and so on. The time it takes to execute the spells is also important, casting a slightly worse heal to save a teammate in danger in order to heal them more afterwards is always better than risking having them fall because their health reaches 0. The same goes for offensive abilities, a lot of bosses have attacks that deal massive damage but take some time to charge, so you will have to avoid being caught in the area of effect of those attacks or you risk taking heavy damage. Cooldowns are another factor to consider in your fights, generally, the longer the cooldown the stronger the ability, you want to never have too many abilities on cooldown at once, unless you are saving them for specific conditions, such as saving the Priest’s Holy Light spell to heal your party members after they all suffered injuries. If you are unsure about the effect of your spells, or about their cooldowns, all you have to do is tap and hold on their icon, a popup will give you all the information you need. This wraps up our advanced guide for Era of Legends. As you can see, the amount of content in this game is huge, and it will take a lot of time to manage to visit all the places in the game world. Even then, there’s still PVP to play, so there is always something to do, as you will want to always be optimizing your gear, your familiars and your skillset to get progressively better and defeat other players.